Auténticamente Mexicana: Cerveza Montejo, now also available in the U.S.A. - Fueled by chile, frijoles & tortillas. Auténticamente Mexicana: Cerveza Montejo, now also available in the U.S.A. This is a sponsored post written on behalf of Cerveza Montejo. All opinions are our own. Authentically Mexican! What does it actually mean to make such a bold statement? Bold porque no es de poca… to make such a claim. As one of our friends who hosts a private list on Twitter called Mexicanos de a Madre would say, not just anyone can take possession of such a title and own it. In the case of Mexican cervezas, Montejo is now stateside as well to prove it’s the right ale to wear the “HECHO EN MÉXICO” stamp of approval. 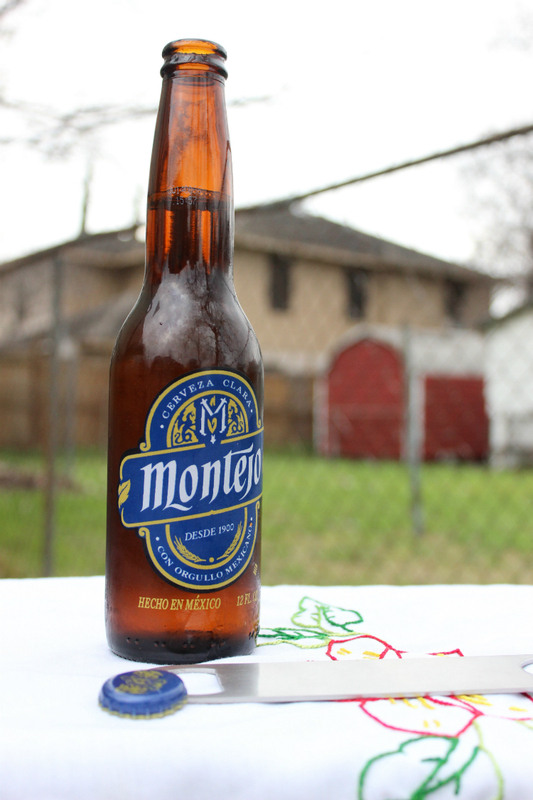 Having just entered the U.S. market in September of 2014, Cerveza Montejo is brewed at Cerveceria Modelo S. de R.L. de C.V. in Tuxtepec, Oaxaca, Mexico. They’ve been brewing it in el País Azteca for over 100 years now. If a mental picture of that beautiful setting is not enough to inspire some authentic desire for this golden lager beer… ¡pues entonces no tienen sed mis amigos! This cerveza is actually pretty smooth. You’ll be seeing more of our work with Cerveza Montejo as we’ve accepted their offer to collaborate in the coming months on their U.S. efforts. If you’re curious and want to try this beer for yourself now, you can find it in select states across the country, including Texas, California, Arizona, New Mexico, Florida, Colorado, Nevada, Washington, Oregon, Illinois, North Carolina and South Carolina. In case you’re wondering, we did also make the Mexicanos de a Madre Twitter list. this beer is soooo good! I just had it for lunch AND dinner! !